How I Met Your Mother Season 1 Episode: 18 - Nothing Good Happens After 2 A.M.
How I Met Your Mother Season 2 Episode: 1 - Where Were We? 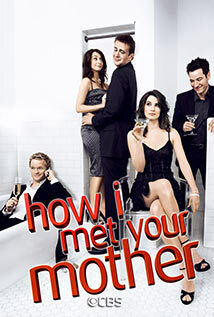 How I Met Your Mother Season 4 Episode: 1 - Do I Know You? How I Met Your Mother Season 4 Episode: 8 – Woooo! How I Met Your Mother Season 8 Episode: 4 - Who Wants to Be a Godparent? How I Met Your Mother Season 8 Episode: 13 - Band or DJ? How I Met Your Mother Season 8 Episode: 14 - Ring Up!